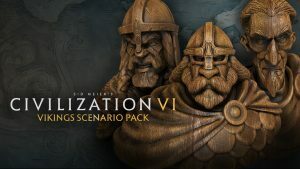 Firaxis, the developer of Civilization 6, have released 2 premium DLC’s and a winter update. 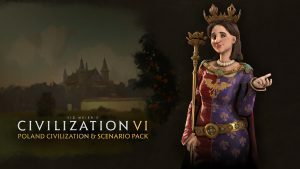 The Polish DLC includes the ruler Jadwiga and her scenario “Jadwiga’s Legacy”. It is said that the Polish main strength is gaining control via religious and spiritual means and fortifying their borders. Here is what other things that are included in the DLC. “Poland’s “Golden Liberty” unique ability allows them to gain territory when they build a Fort or Encampment, even allowing them to steal territory from other civs! They also convert a Military Policy slot into a Wildcard slot, giving them extra flexibility in culture. As for the “Winter 2016 Update,” it includes a lot of gameplay changes, bug fixes, AI tuning, gameplay changes and more. As for the new things that will be added, you have a “World map”, an “Alert” action for units, replay option to Wonder completion movies and an easy jump to a scenario from the single player menu. You can read all about the DLC and the update you can read them on the steam page here.